If you have a hard water stain or a scratched glass window, we can help you. Instead of replacing the window glass, which can be very costly, we can carefully repair and restore the scratched area, salvaging the glass at a fraction of the cost to replace. 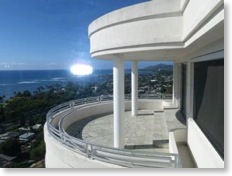 Based in Honolulu, Hawaii, we use a proven system to remove scratch, hard water stains, and blemishes on glass. We carefully buff out the specified area, allowing you to keep your original glass panels without having to replace the entire windowpane. This is a very cost-effective way to take care of the problem -- at a fraction of the price of replacing the whole window. 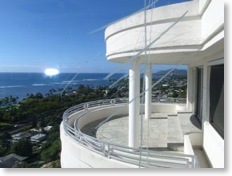 Millions of dollars and tons of glass are wasted each year to replace damaged glass. Until now, there were no other alternatives.Using our safe water-based buffing system, we can effectively remove deep scratches or eliminate even the smallest impurities from glass. Studies have shown that once a building is tagged with graffiti, it continues to become a highly targeted area. So the sooner you remove graffiti, the less chance of additional damage.